Coach/Car: Coaches may drop visitors off outside the Museum but cannot park. 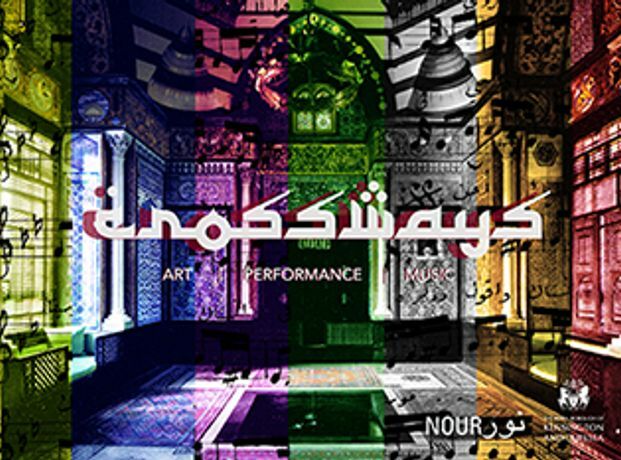 Riffy Arts Collective presents Crossways / Al Multaqa (part of the Nour Festival 2013) an evening of dialogue and exchange by artists and musicians with roots from different Arab regions and generations. With conceptions often that the Arab World is homogeneous with one identity, the reality is many voices, views, traditions, cultures, and even dialogue variations within each country. Navigated around the museum to meeting points between artists of regions considered neighbours or diaspora-influenced, art, music and performance act as a centre point for communication in sharing both differences and similarities. 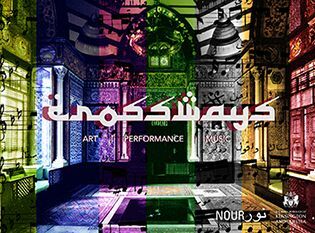 Crossways | Al Multaqa features contemporary artworks in the form of video installation, graphic design, painting and performance art, with a landscape of sound through the fusion of contemporary popular music, rap, hip hop, Gnawa and classical jazz. The artists participating in Crossways / Al Multaqa are: Larissa Sansour (Palestinian) and Youmna Chlala (Lebanese) Video Art Riffy Ahmed (Bahraini) Video and Performance Art Hassan Hajjaj (Moroccan) Video Art/Photography OOMK Zine (Diaspora artists) Sound Installation Sarah El Hamed (Algerian) Performance Art Walid Bouchouchi (Algerian) Graphic Artist Mourad Krinah (Algerian) Graphic Artist Soukaina El Idrissi (Moroccan) Textiles Mo Negm (Egyptian) Painter Plus Special Guest singer Natacha Atlas, fresh from her recent sell-out performance for Nour Festival at the Royal Albert Hall.